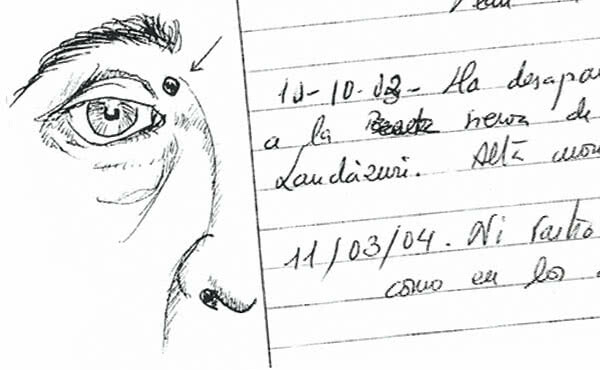 During the summer of 2002, Antonio Jesús Sedano Madrid, 76 years old and widowed since 1991, discovered that he had a wound on the skin of the inner corner of his right eye. The wound was similar to a pimple, and it burned, sometimes causing pain. It did not go away and, during a number of weeks, his three children and a few friends also noticed it. Nevertheless, nothing was done to treat it at this point. Because of additional difficulty with his sight, Antonio was scheduled for an ophthalmological consultation, with the possibility that a cataract operation would need to be done, in a health facility in Barcelona (Spain), where he was living. During the consultation, on 2 August 2002, Antonio also showed the ophthalmologist the wound that had appeared in the skin next to his eye. The doctor immediately directed him to the Clinical Hospital of Barcelona, suspecting that it might be a tumor. On 30 October 2002, Antonio was evaluated at the hospital by the head of the department of ophthalmology, who gave a clinical diagnosis of basal cell carcinoma, in the form known as ulcus rodens. This is one of the most frequent malignant skin tumors, typically affecting people in their later years, and often appearing on the scalp or neck. It develops progressively and implies the deterioration of local tissues. These tumors are generally removed through an operation, normally curing the patient. In Antonio’s case, the lentil-sized tumor was causing a graver situation than usual because of its close vicinity to his eye and the possibility of affecting delicate organs nearby. The doctor informed Antonio that he would need to have surgery to remove it, and he sent him to a specialist in plastic surgery. Considering the certainty of his diagnosis and that Antonio would need to have treatment as soon as possible, the doctor determined the type of tumor that, in his judgment, Antonio was suffering from. The next day, a plastic surgeon examined Antonio and confirmed the previous diagnosis: basal cell carcinoma. Without losing time, he ordered an emergency operation to remove the tumor, explaining to the patient that it was undoubtedly a malignant tumor, but that it was possible to remove it through a surgery that needed to be done as soon as possible. The cancer diagnosis caused Antonio a great deal of anxiety and those closest to him noticed this. While the day of the surgery approached, his worries increased, as the tumor got visibly worse, ulcerating and even starting to bleed. In the Oratory of Holy Mary of Bonaigua (Barcelona), where Antonio often went to Mass, he found a prayer card for private devotion to the Servant of God, Guadalupe Ortiz, along with information about her life. Right away, he began to feel a personal and spiritual closeness to her, so he began to ask her, repeatedly, for his cure. His children and other relatives did the same, as Antonio gave out copies of Guadalupe’s prayer card to his family members. After invoking Guadalupe, Antonio calmed down, slept without interruptions, and the next morning he woke up calm and rested. Upon seeing himself in the mirror, he discovered that the wound had disappeared. He couldn’t believe it; he thought these things could happen to other people, but not to him. His mood changed completely and that morning he even joked when giving the news to his daughter, who was amazed. The same thing happened to his other daughter when she realized that the tumor had disappeared from one day to the next, not even leaving a mark. Antonio called his son to give him the news, and he also communicated it to other friends. In addition, he called the secretary of the plastic surgeon to cancel the date of his surgery, since there was no longer any need for it. When the plastic surgeon examined the patient, he confirmed that the cancer had completely disappeared, due to unknown causes. His initial reaction was fright. 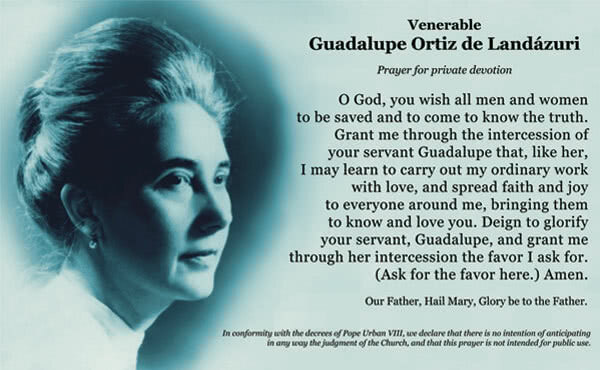 His first question was, “Where did they operate you?” Antonio replied by describing his cure in detail and the intercession of Guadalupe Ortiz. The cure, which had happened overnight, was inexplicable. In the clinical history, on this date, it reads: “The lesion disappeared after praying to the Servant of God, Guadalupe Ortiz.” In subsequent examinations the cure was confirmed. 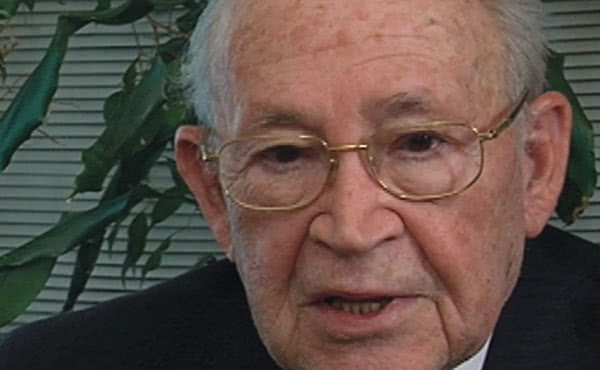 Antonio Jesús Sedano Madrid died twelve years later, in 2014, due to heart disease. He was 88 years old. The skin cancer, of which he was cured through the intercession of Guadalupe Ortiz, never came back again. As the cure seemed to constitute an extraordinary event, according to the indications given for these cases, on 18 May 2007 the archbishop of Barcelona decreed the opening of a canonical process on the miracle and appointed a diocesan tribunal to investigate it. The process took place from 25 May 2007 to 17 January 2008. On 24 October 2008, the Congregation for the Causes of Saints sanctioned the validity of this diocesan process. On 5 October 2017, the medical board of the Congregation for the Causes of Saints examined the case. The doctors highlighted the most relevant aspects of the healing under study: the adequate diagnostic process of the injury, confirmed by medical specialists, and especially its healing in a period of a few hours, without any treatment. The experts of the Congregation declared the occurrences not explicable from a scientific point of view. 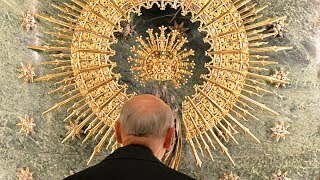 Subsequently, the case was submitted to the examination of the theological consultants, who in the session of 1 March 2018 declared proven, beyond a reasonable doubt, the relationship between the miraculous healing of Antonio and the invocation of Guadalupe Ortiz. Finally, at the ordinary session on 5 June 2018, the cardinals and bishops belonging to the Congregation for the Causes of Saints ruled it solidly proven that the case should be considered a miracle. On 8 June 2018, the Holy Father Pope Francis, after receiving from Cardinal Angelo Amato, prefect of the Congregation for the Causes of Saints, an account of all that has just been described, declared that there is evidence of the miracle worked by God through the intercession of the venerable Servant of God, Guadalupe Ortiz.